Has your smile lost its luster? Over the years, you have noticed your teeth are not as white as they used to be. 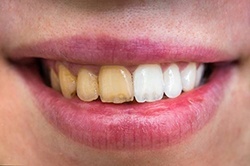 Tooth discoloration is a normal part of the aging process, but it can be amplified by poor oral hygiene, smoking, or the foods and drinks you consume. To reverse the appearance of stains, over-the-counter products often seem like the perfect remedy, but you will be left feeling disappointed. 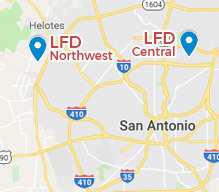 At Laith Family Dentistry, we can help you achieve the drastic results you want with professional teeth whitening in San Antonio. As you age, your enamel becomes thinner, causing more of the dentin to be visible. This makes your teeth to appear yellow and aged. While this is unavoidable, there are several factors that can make the issue worse, like poor oral hygiene or eating darkly pigmented foods. Not to mention, tobacco use in any form can lead to browning or staining of your teeth. Now, there are several over-the-counter products that claim to reverse tooth discoloration, like whitening strips and toothpastes. Although they appear to be the perfect solution, they will not give you the results you want. 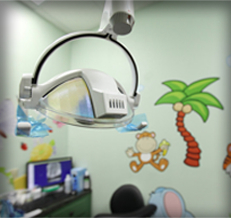 They do not contain professional-grade whitening agents, so they cannot penetrate the enamel. It will only lighten surface stains and the results will not last. 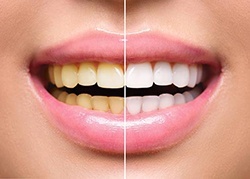 The only way to achieve a noticeable improvement is with a whitening treatment from your cosmetic dentist in San Antonio. 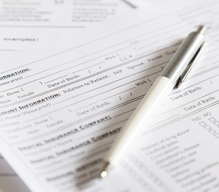 After performing an initial consultation to ensure you are a candidate, a customized treatment plan is created. During the process, a protective barrier is applied to your lips and gums to prevent any irritation to the soft tissues. A highly concentrated whitening agent is put on your teeth and a special light is used to activate it. It deeply penetrates your enamel to resolve stubborn stains. After just one appointment, your teeth will be 6 to 10 shades whiter. 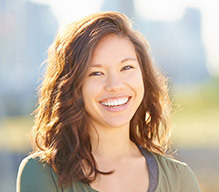 With the right aftercare, your new smile can stay bright for several years. To lock in the results, it is best to stick to a white diet for 48 hours following your procedure because your pores are still open. Afterward, it is ideal to limit your contact with stain-causing foods and drinks, like coffee, berries, and tea. If you cannot skip your morning cup of coffee, be sure to brush your teeth afterward or rinse your mouth with water. To remove stain-causing particles from your teeth, brush them twice a day using a soft-bristled toothbrush and a fluoride toothpaste for at least two minutes. Take the time to floss in between each tooth before going to bed. 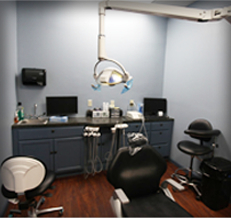 In addition to your home oral hygiene habits, visit your dentist in San Antonio twice a year for a cleaning and checkup. We will check the health of your teeth and gums, and we can also provide you with a touchup kit to maintain your bright smile. Restore a White Smile Today! You do not have to feel insecure about a discolored smile. Turn back the hands of time with a professional whitening treatment. 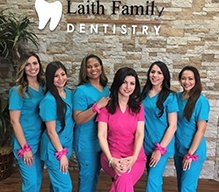 Contact Laith Family Dentistry today to schedule your consultation.